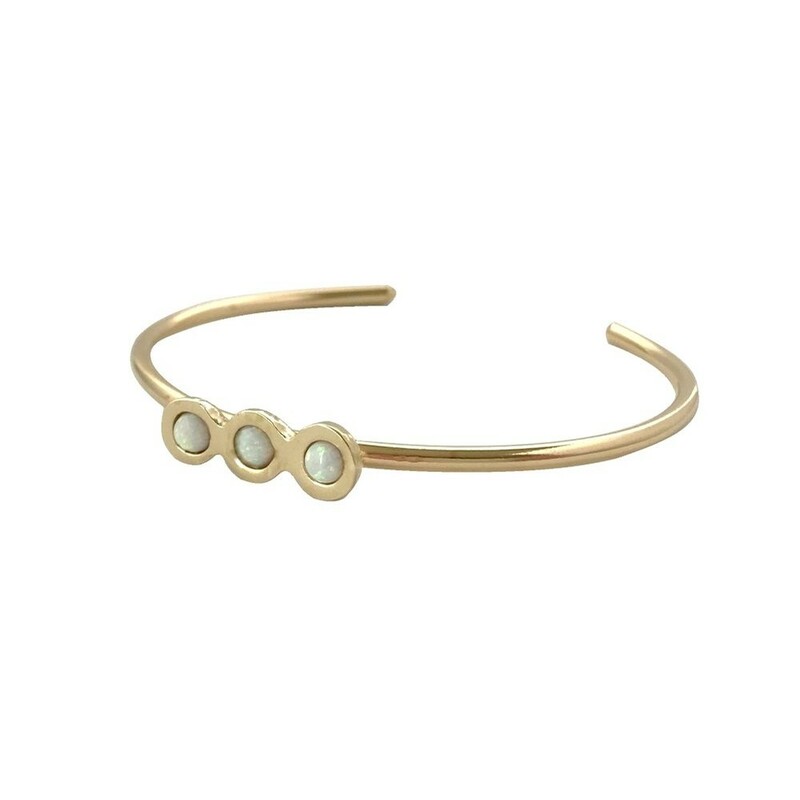 This unique bracelet was handmade using traditional metalsmithing techniques and the lost wax casting process. Handmade in Chicago by Therese Kuempel. Brass and Opal. Stones measure 4mm each. Cuff is slightly adjustable to fit most wrists. All of our brass is nickel free.